A sublime, traditional-style dessert wine made famous through prestigious Italian heritage, using grapes that are dried on straw mats under rafters. 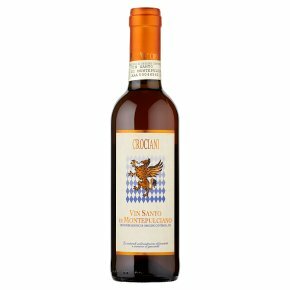 Mouth-filling, this Vin Santo has dried and very ripe fruit characteristics of raisins and plums, and a velvety finish. Ideal with strongly flavoured cheeses. Wine of Italy. Dessert Italian Wine.